Live Colorfully is a lovely floral musk with water lilies and citrus from Kate Spade. It's a very fresh and light spring and summer scent that I quite enjoy; however, I really don't care for perfume samples in subscription boxes simply because I can get them for free at perfume counters. This is a scented dry shampoo that comes in a super colorful mini can, perfect for traveling. This is an anti-aging face cream that promises to reduce fine lines and wrinkles. Sunday Riley seems like a super luxurious brand so it's always nice to get mini samples of expensive skin care. A super teeny and cute hand cream sample, the Juara Coconut Illipe Hand & Nail Balm has a very lightweight texture that absorbs quickly. I do wish the formulation is slightly creamier; it doesn't spread very well on dry hands so I have to use quite a lot. 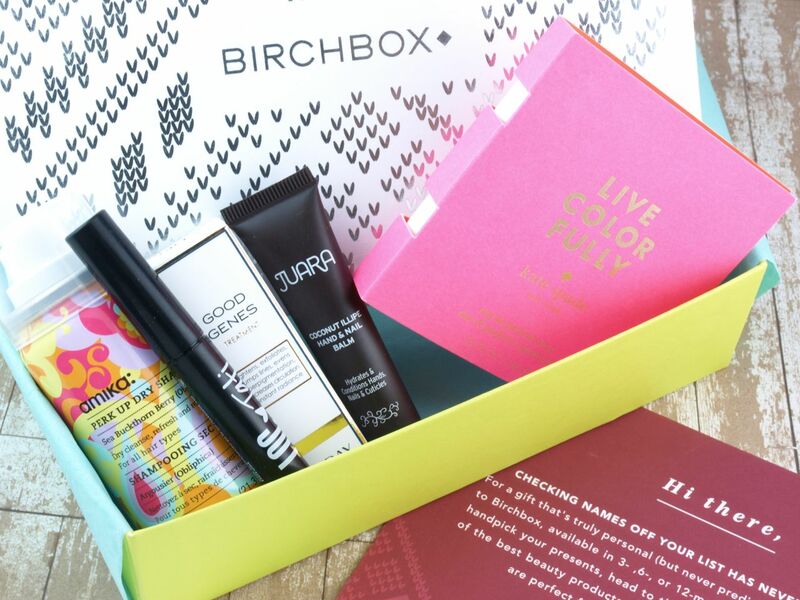 The item I was most interested in, LOC is Birchbox's own brand. 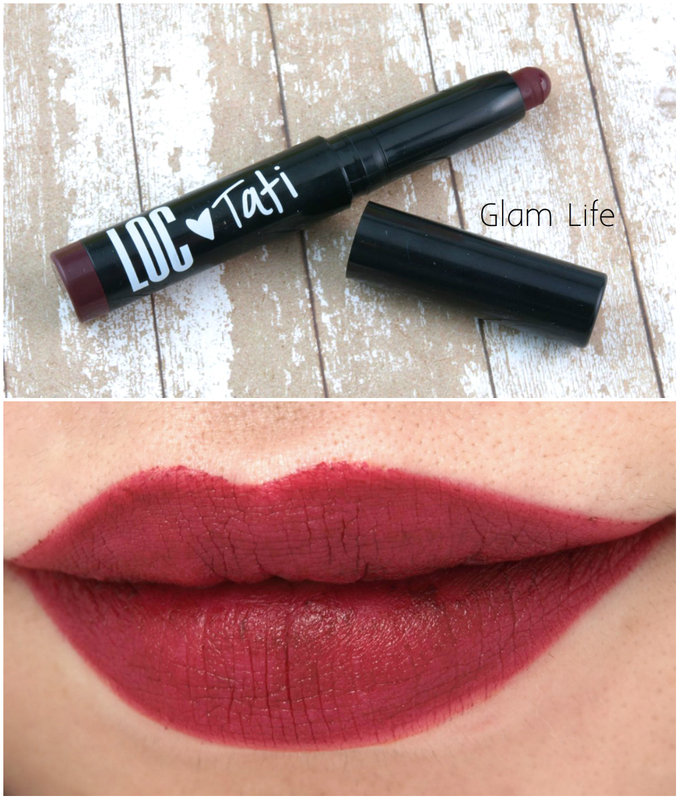 The Vibrant Matte Lipstick in "Glam Life" is a shade curated by Youtuber Tati Westbrook, who's actually one of the only beauty gurus I love and watch. "Glam Life" is a beautiful dark wine with a semi-matte finish. The formulation is very creamy and non-drying but it's somewhat patchy and smudge-prone. Additionally, this full-sized product has 0.6g of product; the $10 CAD price tag is very affordable but for 0.6g of product, it's not too good of a deal. 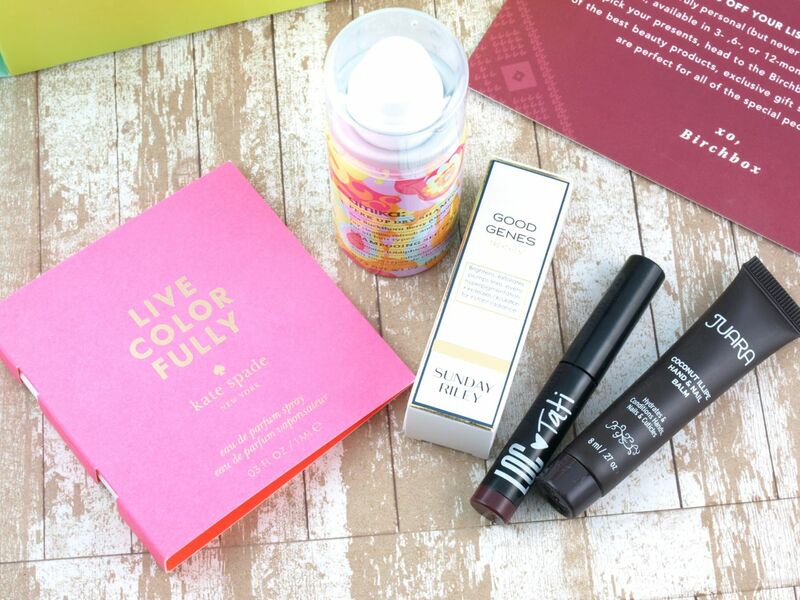 LOC (Love of Color) Vibrant Matte Lipstick in "Glam Life"
Birchbox Canada is available online for $14.95 CAD (shipping cost included).